Lately I’ve been enjoying the amazing iPad app Procreate. I’ve had it only a few months, but have already licensed a number of illustrations for greeting cards (show greeting cards), many of which I created during the #Procreate30 challenge on Instagram created by Stephanie. 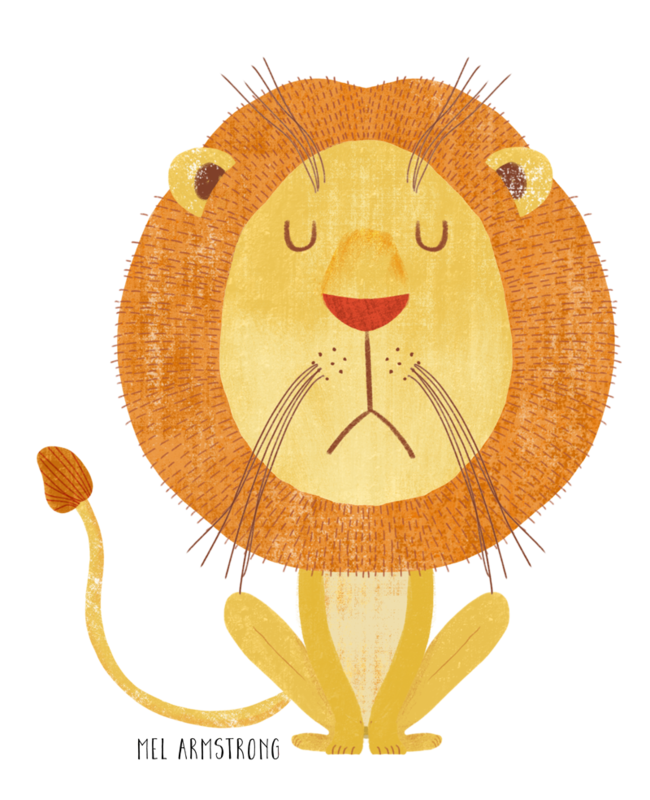 In this class I’m going to show you how to create a character (such as this lion) using the Symmetry tool. This tool is useful for creating symmetrical illustrations such as butterflies or bugs or even symmetrical patterns, but can also be very handy when creating characters like this. Along the way I’ll show you some of my favourite brushes to create gorgeous textures and how you can create a simple repeat from your illustration that can be uploaded to a Print On Demand website such as Spoonflower. This class is for those who are relatively familiar with Procreate and are interested in learning about some new features. If you’re looking for a beginners class, I recommend Stephanie Fizer Coleman’s or Brooke Glaser’s classes to help get you started. You’ll need an iPad pro (or the new iPad 9.7 inch), an apple pencil and the Procreate app to complete this class. If you know of anyone else that’d be interested to learn about surface pattern design, I’d appreciate if you’d share the link with them too.